A United Launch Alliance Delta IV rocket lifts off from Space Launch Complex 37 at Cape Canaveral Air Force Station at 8:59 p.m. on 20 February 2014 carrying Global Positioning System satellite 2F-5 into orbit for the U.S. Air Force Global Positioning System Directorate. “GPS 2F-5 is one of the next generation GPS satellites, incorporating various improvements to provide greater accuracy, increased signals, and enhanced performance for” civilian and military users, according to the United Launch Alliance mission overview. 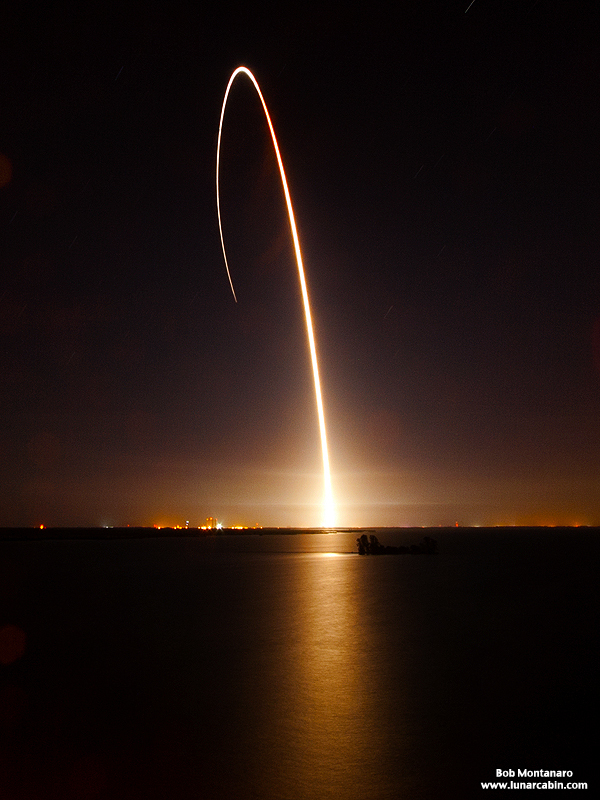 This time exposure of the launch was taken from atop the A. Max Brewer Bridge in Titusville. View more rocket launch imagery.